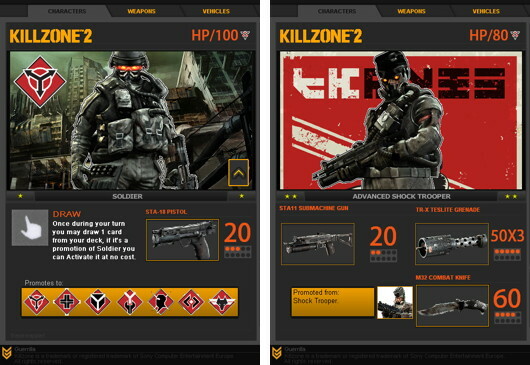 A gamer called “thepineapple1” has tried his hand at making a card game out of Killzone. You get to duel one-on-one against a friend and it features action points which can be used to promote your soldiers, use vehicles and other stuff. You can download the starter pack for the ISA here and the Helghast from here. The game releases on Feb 22 for PS3.